Patrice Stevens, senior compliance specialist, provides technical expertise regarding Davis-Bacon and State prevailing wage regulatory compliance. She also coordinates with management to develop and provide training sessions and workshops on compliance processes and procedures to internal staff and clients. Patrice manages complex compliance cases of government-funded construction projects, with significant interaction with clients to develop and achieve compliance goals. Additionally, she reviews contract compliance to ensure Davis-Bacon language is included, investigates and documents findings when violations occur, conducts employee interviews as appropriate, analyzes and disseminates certified payroll records and conformances, and routinely reviews and monitors federal and state prevailing wage determinations. Patrice also proactively coordinates with government agencies to ensure the timeliness of investigations for non-compliance. 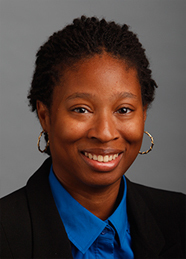 Previously in her career, Patrice worked as a collections professional specializing in homeowner association law. She negotiated payments, assisted in obtaining judgments and reviewed legal documents. Patrice has extensive experience in managing cases and negotiating on behalf of clients. On a personal note, Patrice enjoys spending time with her two daughters, mom and the rest of her family. She is a water baby and loves the ocean, snorkeling, diving, jet skiing, parasailing and surfing. She also enjoys swimming, basketball and football. She supports her home team the New York Giants “all in.” She loves traveling to new places and trying new cuisines.